Submit your name and email address here in order to be considered for the club. If you read the waiver they’ll have you sign, you’ll notice that they own the rights to use and modify anything you submit to them. So they can attach your picture to the review, and change it shows that you think the product is fantastical, and that’s OK, because you have told them so. Ok, enough BS.. how does a person become a Canadian Tire Tester. I keep seeing commercials saying tested. Are there actual testers or is this a crock of crap? If testers are out there, I may never be considered because I tell it like it is. Can be a tester for Canadian Tire in the Niagara Falls, Ont. area. Ken – I can attest that they do use regular folks, because I am a tester and have received multiple items over the years. We were even flown to San Antonio Texas to test tires on a test track – it was a blast! Yup this is real. I’ve been a tester for a number of years now. Lots of free stuff if you want to test it. I think they have their quota of testers though, not sure. Anyways, if you can get in and you have time to test products, its a good gig. Now and I have never pay for shipping. Do you have any idea how I can sign up to be a Canadian tire tester. All the links I’ve tried are not working. Thanks for any help you can give me with this. Me too can’t seem to get it working. I’ve never paid anything. The products are mine to keep. It’s been great! Has anyone actually received anything to test? I was “selected: for brakes but it’s been months with no word – can’t seem to contact them about it either. Hi, I was also selected by CTC to test a set on auto locks, but I never received anything or heard anything from them since December 2013 ? Maybe it was a scam ??? I too was signed up to test CT Products, starting with Auto Brakes. I replied back with the requested information about My Vehicle and never heard another thing back …. ever. It has been almost 2 years since I signed up or heard anything. I have received 2 products now! Hello . Yes I received a cast iron casserole dish. I took a video and I will b sending it to them. Also putting it on face book. yes you do get a product to test but their system needs plenty of work, I was selected for a product but waited months with nothing arriving and when I queried them I was switched to a different product which after a lot of manouvering finally arrived and without the necessary battery to operate it and another wait while a battery was sent and the test could be done. How long did it take for the product to arrive with everything necessary to test it over a year. I did get to keep the product and it is worth a bit of money and no there were no delivery or shipping charges to pay they did take care of all of that. The product is now part of the CTC tool line with replacement parts available in store or be ordered in store. Hi I was just wounding if the testing of tools was over. I make crafts and use lots of different tools. I’d like to be a tester as well but cannot apply for this position. The sight is not available. If they have no room for more testers then just say so. I am a product tester and have been selected twice in less than a year and have received both items after getting an email saying I was selected. The email never told me or gave me any indication of what it was I would be testing, so I didn’t know until it arrived at my door. I also wanted to say at neither time was i charged shipping or ANYTHING. i would love to do this .. where/how do i sign up? I would love to be a tester for Canadian Tire. I would love to become a Canadian tester. I shop at Canadian Tire often and would like to become a tester for them. I love to cook and clean so any produce would be well tested at my house! Would love to become a tester. How do I sign up? I am very interested in being a tester. As far as I know, no one in my northern alberta town is a tester. Peace River, Alberta; great place to start. I would love to test the new Bissell Crosswave before I purchase it. I have three very large dogs, wood floors and a muddy area in my backyard. It is a large house and by the time I vacuum and then wash all the floors, I am too tired to put the shining product on them. I have been very interested in this product, but would really like to see if it is as good as it looks. I love to be a tester how do you be a tester? I have tested a few things – from lawn movers to Zip lock air bags (GREAT btw!! ) I have 2 more things enroute now – they dont tell you want it is – you just get a purilator shipping notification and then wait – normally a day or two. (If you get the mailing – the part number is in there – but thats cheating… ) they really appriciate our feedback and even ask for a picture to maybe publish – all with consent of course. Great people to deal with also. I would love to try new stuff. Always buy from there. I fish and repair cars. Do all my own home repairs. Would love a chance to try new products. I live in Candiac, Quebec and love shopping at Canadian Tire so I think I would be a great fit to be a tester. I would live to become a tester for canadian tire….how do I apply? I would live to be a Canadian Tire tester….how can I apply? My interests are: DIY, Household, Automotive, Outdoor. Electronics & entertainment. I enjoy many other hobbies as well. Trying to become a tester but says page not found. Rural BC Country girl here itching to test your products. products,,,own quite a few already. I would like to be come a tester. Can you advise how to regester. Would like to become a tester. Could you please advise how to register. Want to become. A Canadian tire tester. Pls advise on how to register. I do a lot of home repairs and I’m always trying out new camping and fishing products Would love to test them and provide feedback. I would love to become a tester for Canadian Tire. We would love to become a canadian tire tester. would like to test products for Canadian Tire. I just filled in my information for being a product tester for Canadian Tire. I believe, it stated, that I will be contacted, if I am a participant. So, I anxiously wait! I’m a fixer-upper of pretty much anything. I love painting and decorating. I am also a crafter, adventurer, and love to bake! I love tools!! Have quite a few Mastercraft ones! 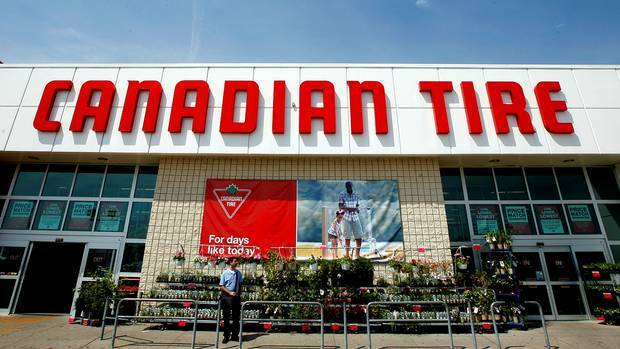 I really would love to be a Canadian tire product tester, as I am a software tester, I can use some of my testing skills into testing some of the products sold by my favorite store. I would like to be a tester. We would LOVE to be testers….. It’s our favourite store to go for great deals….we have bought many items from car seats , hunting gear, coolers , Tools of all sorts to gardening tools ….. I would love to become a tester! I have the time to give to my full attention to any product containing to a home or outside the home. Thank you . I would love to be a tester I am A mom and have a family I would like to help other families make better choices! I would love to be a product tester. We love to entertain, love sitting in our yard, and love to do home renovations. So we could test anything, cooking products, furniture, and outdoor space products!! How do I sign up to be a tester? I have tried coming to this site a number of times now over the last six months and it always comes up with 404 site not available. You should put on your site if you are not looking at this time. I have a read a number of responses in the feed above from other people and same issues. Hey there. I would love to become a tester for you. My family and I all shop at Canadian Tire often. Thank you for your consideration! i love writing view and trying new things. i like to be a tester for canadian tire trying many products and tell how the product is, i thing i can make a good job. I would like to become a tester to test how good your products are out here in a rough canadian country area of oil feilds and farming. I find Canadian Tire to be a very versatile store and have been shopping here since my college years. I would love to test products from the brands I have fell in love with as well as newer products from brands yet to be discovered. Is Canadian Tire looking for testers in Winnipeg? Been buying products of all sorts for many years from there and would like to become a tester! Why do people keep saying sign me up to be a tester. They were looking for testers in 2013. They an excellent long ago filled these spots. There was also an application process to go through. Not a random post on a site that is not affiliated with Canadian tire. How do I become a Canadian Tire tester? i like to buy a lot of mastercraft tools i would like to test ones i do not have because i cant afford to buy them but would like to be considered a tester for them i like the performance from these tools for the price they are. I could not get to the page to sign up but would like to become a tester. I love your store and your products. Please sign me up. I Would Love To Be A Canadian Tire Tester!!!! I Would Love To Be A Canadian Tire Tester!!! I would to try this out. :). It won’t let me join the tester club. I just get redirected to another page saying page not found 404. 🙁 🙁 .How can I join!? My girlfriend and I would love to be testers. We’re an active couple who lives in Northern Ontario and what better way to test the products then in that environment. We would love to become testers and be apart of this club. I would most definately like to be a product tester however your link to sign up does not take one anywhere except to a page saying its the wrong page. If you are selecting people by their comments then please select me as well thank you. I would be interested in becoming a tester. I have shopped with/from Canadian Tire for over 40 years now. I would like to become a Canadian Tire product tester. How do I go about doing this? Canadian Tire has been my favourite store since I’ve been 14 years old (now 32). All my hand tool / power tools at home are Mastercraft. I use a wide variety because I am a woodworker, leatherworker and a blacksmith with my own forge at home. I also repair/build everything for my house/property and repair as much as possible my own vehicles. I use a lot of various items being an outdoors fanatic and enjoying a lot of varied sports and activities. All my camping, sport and fishing gear comes from Canadian Tire stores. I’m also a father of 2 boys and husband to my wife who is as big of a fanatic of the outdoors as i am. Lastly, i am fully bilingual since my wife is anglophone and my first language is French from living in Quebec. If you ever need a tester for a wide variety of product and reviews to be written in French or English, I will be ecstatic to be selected. Can’t get anymore Canadian than us. My wife and I would love to become prout testers for Canadian tire. She runs her own home maintenance company, and we both have many of your regular Canadian hobbies. Fishing, camping, 4 wheeling. We do home improvement and use Canadian tires products. In fact our tool boxes are overwhelmed with them. If wewe ever could become testers we would be happy to make sure everyone knows just how reliable Canadian tire products are! I would love to be a tester. We have a busy family with 3 kids as well as 3 grandchildren 2 large dogs and 2 cats. Lots of cooking and cleaning done here. Sign me up. Would love to be a part of this and become a tester! Where can I sign up, the link is invalid. I would love to become a tester, but the link doesnt work. I have tried to apply to be a tester but I keep getting the 404 page not found error. How do I get my name onto the list please. I would like to be a tester. I have a friend that is one and it looks like alot of fun. Would love to be a Canadian Tire Product Tester. Canadian tier tool is the main tool in my shop. I love them and know they can work just is hard as I can. would love to be a tester and pass on the information that could make a product better in some way. The link does not work. I buy many of the products I need for indoors and outdoors. It would be great to be a Canadian Tire Tester. I was a tester for awhile then I haven’t seem to see any emails from you for quite awhile. I really enjoyed testing your products and would love to continue to. Thank you. I would like to become a tester. hi! i will like to be a product tester for canadian store where can i join the club thank you! I would like to be a tester. How do I become one? I can attest to this being a legitemate service, my hubby signed up a year ago, he wrote reviews on their site for stuff he purchased at first and he did it frequently, the first item he was sent was a furnace filter which he reviewed but could not do a video review for ( which they ask for) but hello..its a furnace filter so its kind of hard to do a video on. Then he waited about 5 months after, still doing his own reviews on stuff hes purchased during that time and then a week ago they sent him a full ski doo suit and a ski doo cover to review, together its valued at 700$ he made videos for them to review ( we live in northern canada ) so they have come to great use for him and they have been happy with his reviews. I’ve always been impressed with canadian tires commitment to quality and service. Would love to be A tester! I am on my third item in under two years. The items seem to be getting better! The really lucky ones are the ones who got a snow blower! That would be very nice. Thankful for being a tester for any product though. I would really love to be a product tester. I do all my shopping and take my vehicle there for repairs. How do i sign up to become one please. Bonjour J’aimerais devenir testeur pour votre cie. J’aime beaucoup vos produits. J’attend avec impatience votre communication. I am very interested in becoming one of your testers. I love trying new things and am always anxious to share my opinions!